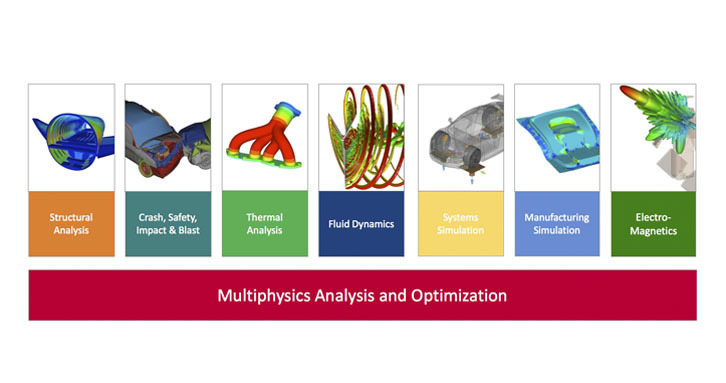 Altair is the industry leader in multiphysics simulation with broad and comprehensive software solutions across a wide range of physics including the application of multidisciplinary optimization. Altair Smart Multiphysics enables best-in-class solutions for solving complex multidisciplinary and multiphysics analysis and design problems involving combinations of physical phenomena including structures, fluids, temperature, multibody systems, acoustics, controls, hydraulics and electromagnetics. 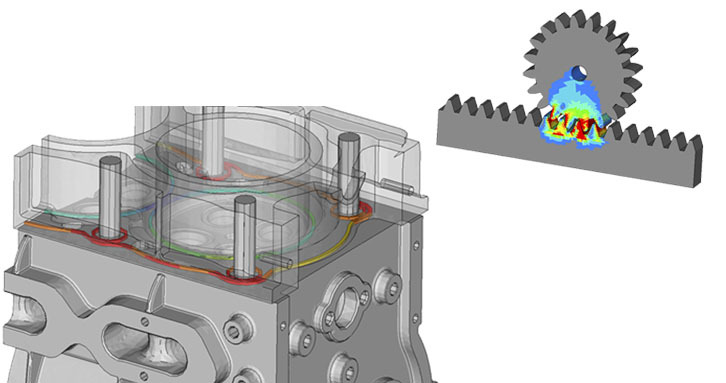 All solutions are intended to be used in the design of complex products, and are, therefore, tightly integrated with multidisciplinary optimization. Built on a single, open architecture multiphysics platform, Altair Smart Multiphysics maximizes the quality, robustness and scalability coming from required single physics solutions of Altair and Altair’s valuable partners, while applying the best coupling and optimization technology to solve complex and real world engineering problems, quickly and effectively. Fluid-Structure Interaction (FSI) involves simulating the behavior of fluids (gas or liquid) and structures, as well as mechanical systems simultaneously including how the behavior of one affects the other. Examples would be a wind turbine blade in an air flow, an air plane landing on water, the inflation of an airbag, or tank sloshing. HyperWorks enables engineers to thoroughly study fluid-structure interaction and design for it through different solutions. RADIOSS provides several solutions for fluid-structure interaction. Using explicit time integration primarily short term events can be simulated. Methodologies include Coupled Eulerian Lagrangian (CEL), Arbitrary Lagrangian-Eulerian (ALE), Smoothed Particle Hydrodynamics (SPH), as well as Finite Volume Method (FVM). Latter is implemented in the context of airbag simulation. Examples include airplane ditching, airbag inflation, and bird strike. 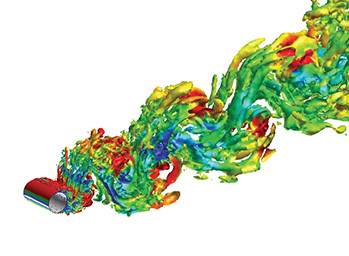 AcuSolve is primarily a general purpose Computational Fluid Dynamics (CFD) solver. Through code coupling, it is able to solve FSI problems, which is one of the major strengths of AcuSolve. AcuSolve offers two types of coupling with a structure. Practical FSI (P-FSI): This utilizes a modal reduction of the structure. The methodology works just like component mode synthesis in structures and multibody simulation. The structure is reduced in the modal space and coupled to the fluid domain thru interface nodes. Structural behavior is limited to be linear. Examples are wind turbine blades, rise vortex induced vibrations, and shock absorbers. Direct coupling (D-FSI): AcuSolve’s code coupling interface enables easy interaction with other solvers. The coupling is a co-simulation where both AcuSolve and the coupled solver step through time and iterate to equilibrium in each time step. Within Altair solvers, RADIOSS and OptiStruct are coupled with AcuSolve. Also third-party solvers interfaces have been implemented. Examples include offshore oil pipeline motion, aircraft wing/rudder simulation, flow in blood vessels, and racecar wing aerodynamics. Another interesting application of Direct FSI is the coupling of CFD and multibody simulation via coupling AcuSolve with MotionSolve. Initial projects include tank sloshing and a car lane change in a wind tunnel. Simulation using three-dimensional modeling is not the only way of understanding physics and designing products. 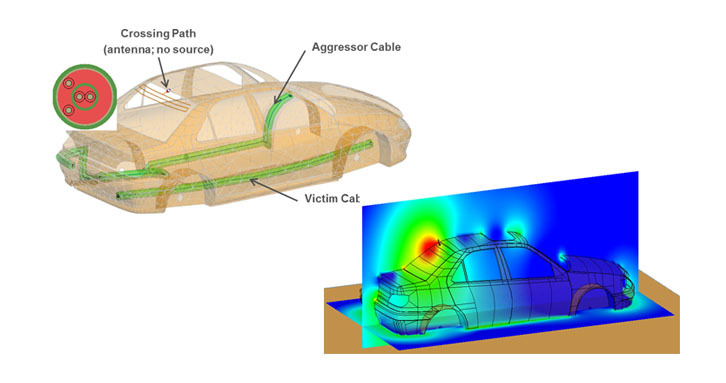 So-called 1D simulation is used to a large extent in product design. This includes physics-based modeling for instance, using mass, springs, and dampers to model a mechanical system, as well as signal-based modeling, for example controls. The unique offering of Altair technology is the availability of 3D and 1D simulation under one roof. Complex systems can be modeled using both simulation techniques. 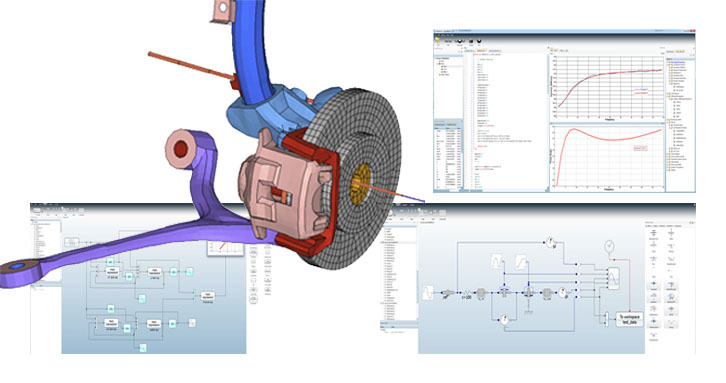 The solidThinking model-based development suite of software products can be coupled with Altair 3D solvers to create a co-simulation environment. One of the most obvious use cases is the coupling of controls with multibody simulation. This can be accomplished with Altair MotionSolve where a MotionSolve model can be included in a solidThinking Activate block diagram. Naturally, the interfaces are available for such co-simulation to also be performed by using 3rd party control simulation software. 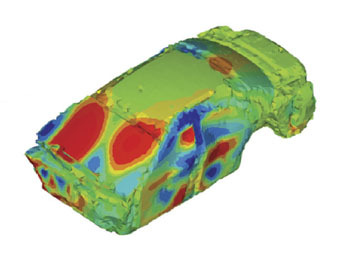 Co-simulation is useful in coupling controls with 3D finite-element solvers. For example controls can be coupled with AcuSolve through a user-defined function like simulating and designing the climate control in a car. ChassisSim is a multibody vehicle dynamics software that allows race teams and vehicle dynamics engineer to simulate all aspects of vehicle behavior well before the car turns a wheel. MotionSolve & DSHplus - DSHplus is used to provide the resulting hydraulic forces and control of the movement while MotionSolve is used to provide displacement and velocity information. 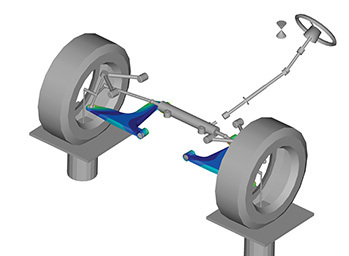 In Computer-Aided Engineering (CAE), accuracy and simulation efficiency are important. One method to reduce computational effort without losing much accuracy is to represent deformable structures in a reduced form. Such reduction is mainly done via transformation of the structure into modal space, or by static reduction, or a combination of the two. This procedure has several different terminologies; flexible bodies, super-elements, practical fluid-structure interaction, component mode synthesis, etc. depending on context. We will refer to it as flexible bodies, as it is common in multibody simulation. OptiStruct is frequently used for the generation of flexible bodies. 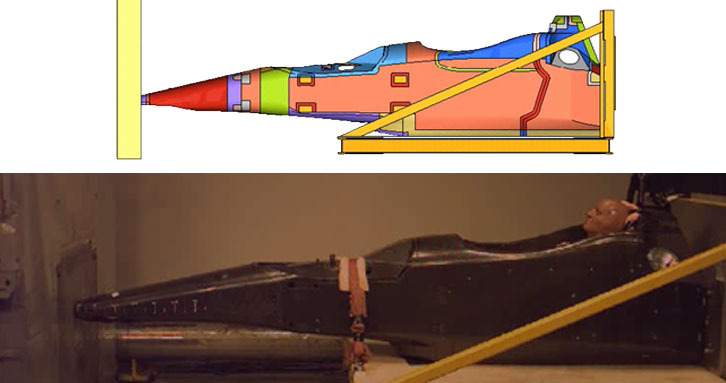 Depending on the application, they can be used in different simulations. 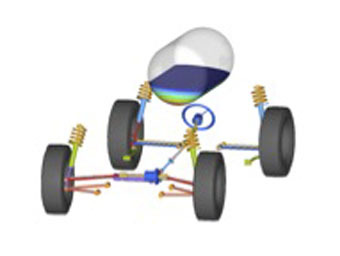 In MotionSolve for multibody dynamics, in OptiStruct as a super-element technique for static and dynamic simulations, in AcuSolve for practical fluid-structure interaction, and in RADIOSS to linearly reduce parts of the structure. OptiStruct flexible bodies are also compatible with a number of partner and third party applications. Computational Aeroacoustics (CAA) represents simulation of sound initiation and propagation based on fluid flow on or around a surface. This discipline requires simulation tools for both the sound initiation and sound propagation. Typically, these tools are separate. Therefore, a simulation to obtain initial sound pressures is performed with CFD followed by a noise propagation simulation to calculate final sound pressures downstream. 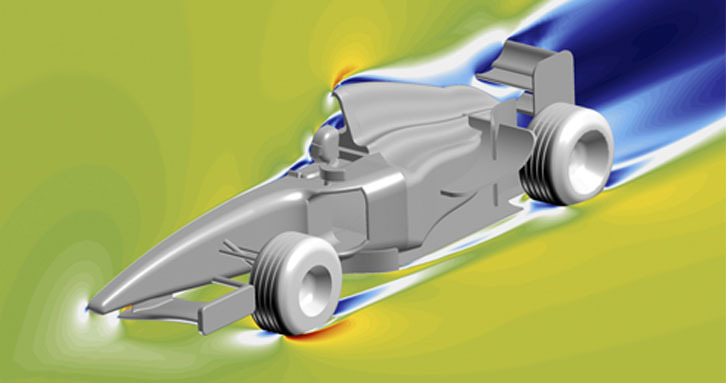 AcuSolve, a general purpose Computational Fluid Dynamics (CFD) solver, can be used to perform calculations for initial sound pressures due to airflow around an object. AcuFWH, an aeroacoustics solver within AcuSolve, is used to simulate sound propagation using the initial pressures calculated from AcuSolve CFD simulation. Altair OptiStruct can then be further employed to study the structural response. Altair RADIOSS also includes CAA capabilities using Arbitrary Lagrangian-Eulerian (ALE) method. An example is the airflow over an obstacle to study the nose generated by the air. OptiStruct & Coustyx - By coupling Coustyx with OptiStruct, users are able to calculate noise transmission from a vehicle’s exterior to the interior through the window panel. 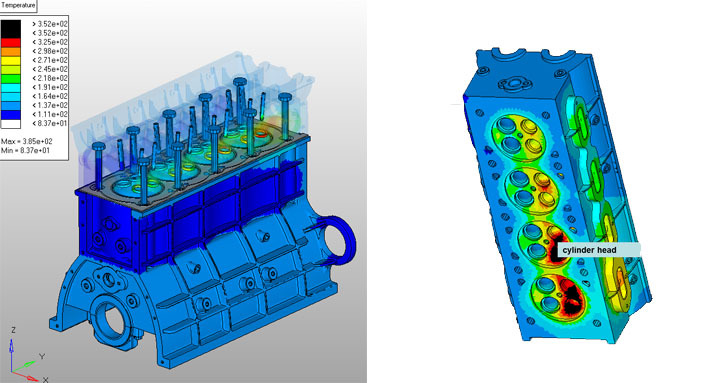 Noise Radiation Prediction can also be performed by calculating the noise radiated from the powertrain housing. Thermomechanical simulation captures deformation and stresses in solids based on the combined effect of mechanical loading and thermal loading, including the coupling due to thermal expansion. Altair’s structural analysis solver, OptiStruct, has the capability to solve both the thermal and mechanical physics in a single simulation. This enables engineers to understand how a structure behaves based on loading from both the mechanical domain and thermal domains. ElectroFlo is an electronics cooling package designed for high power density applications. It is a thermal analysis software that combines the power of coupled thermal/electrical analysis with the ease-of-use of an object oriented Graphical User Interface. TAITherm from ThermoAnalytics is a thermal simulation tool for comprehensive CAE analysis of both steady state and transient heat transfer conditions. TAITherm has a complete temperature distribution and heat rates for radiation, conduction, and convection. 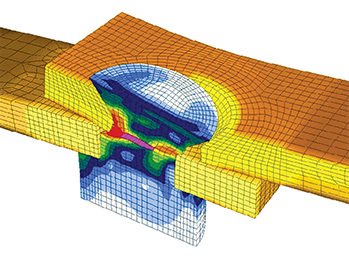 ThermoFlo is a thermal and fluid flow analysis software package which uses a 1D Systems modeling approach, allowing the user to use a component based approach rather than creating a full 3D model. 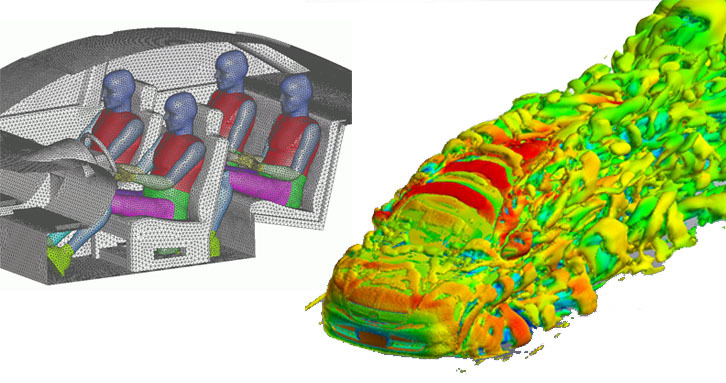 Fluid dynamic & thermal simulation involves the simultaneous calculation of fluid flow and fluid temperatures. Many engineering problems require the understanding of how both flow and temperature behave over a given time period. Altair’s AcuSolve CFD solver enables engineers to obtain an understanding of both fluid flow and temperature behavior of the fluid simultaneously. AcuSolve & TAITherm - Couple TAITherm with AcuSolve to design advanced vehicle cabins based on human comfort, not air temperature.